VHS tapes are quickly becoming vintage items, but there are many reasons that people still hold on to their VHS collections. Whether your VHS tapes are cherished family videos from childhood or a part of a large film collection, preserving your VHS tapes will require a little planning and preparation. Affordable Family Storage is here to help, with tips and tricks as well as excellent storage solutions that will preserve your collection for years to come. Read on for more information in today’s blog. Always rewind your VHS tapes before storage. If they are put into storage paused in the middle of the video, the tape will sag and age more quickly in the paused part of the video, causing damage to video and audio quality. Store your VHS tapes vertically, like a book on a shelf, as opposed to horizontally. This will preserve the quality of the video tape inside the cassette. Be careful when handling your VHS tapes. An impact to the cassette case can cause damage to the tape itself as well as the spooling mechanism inside. So make sure you don’t drop your cassettes. Also, avoid touching the tape inside the plastic casing. The oils on your hands can degrade the video quality of the tape. 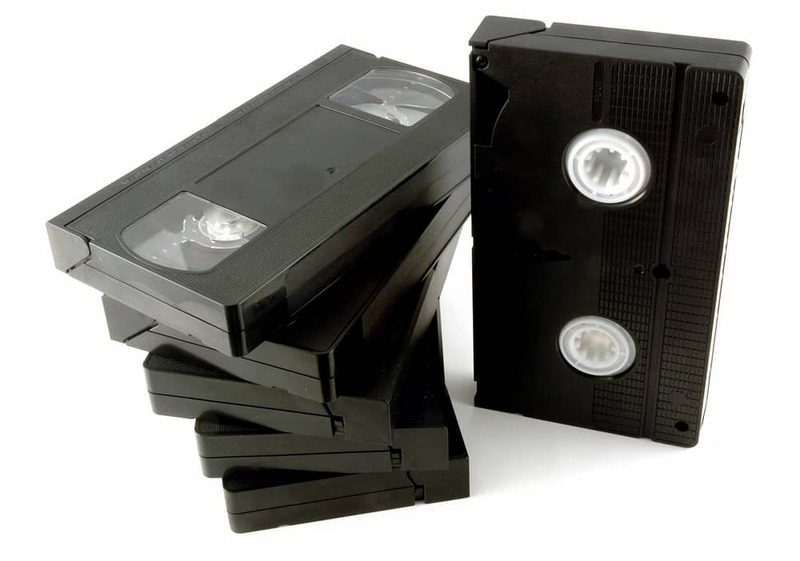 It is important to prevent exposure of your VHS tapes to humidity, moisture, dust and pests. Plastic containers with tight fitting lids are recommended for storing VHS tapes. Cardboard boxes are not recommended, because they cannot protect against exposure to damaging elements. Store your VHS tapes in a cool, dry location, avoiding sunlight, dusty conditions, and temperature fluctuation. Climate-controlled storage solutions from Affordable Family Storage offer excellent protection for your VHS collection. Our advanced climate-controlled facilities manage temperature, humidity and air quality, so you can be sure your valuable possessions are preserved for years to come. Whether you have a small collection of family videos or you are a serious collector with shelves and shelves of VHS tapes, Affordable Family Storage has a storage solution to suit your unique needs. Check out our Storage Space Calculator to find out what will be the best fit for you. Affordable Family Storage quick tip: Always keep magnets and speakers (which contain magnets) far away from your VHS collection. Magnets will damage your videos, leaving you with blank VHS tapes! When you are ready to put your VHS tapes in your storage unit, make sure you are taking the proper precautions to preserve your collection. A Climate-controlled storage solution is the best choice for protecting delicate and valuable items. Whether you are an avid film collector or you are preserving cherished family videos, Affordable Family Storage values the things you love. We offer modern facilities and excellent customer service, so you can feel good about storing your valuable belongings with us. Contact us today to see how we can help you preserve and protect the things you love.